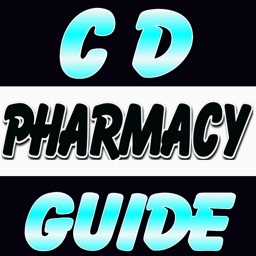 A pharmacy, controlled drug (cd) schedule guide with prescription requirements, safe storage, emergency and private prescription regulations etc at a REDUCED PRICE for a limited period only! 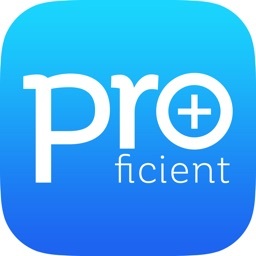 This app has been specially designed to help pharmacy students, medical students, pre-reg, prescribing pharmacists and nurses, doctors, ACT's, dispensers and dentists and basically everyone working in the medical profession. 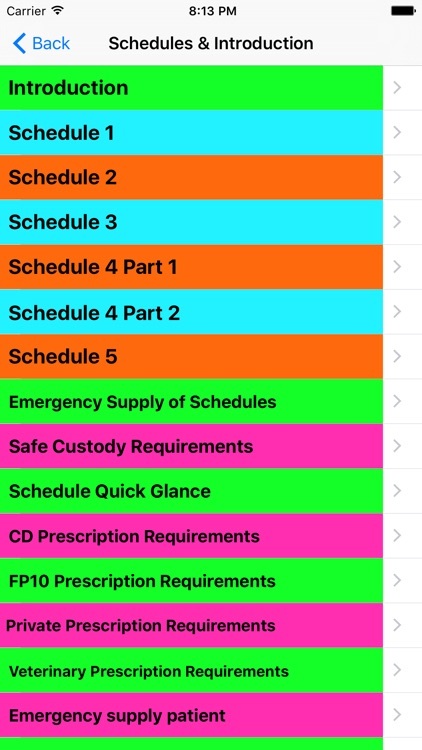 It gives quick reference to all controlled drugs in Schedules 1, 2 3, 4 and 5. 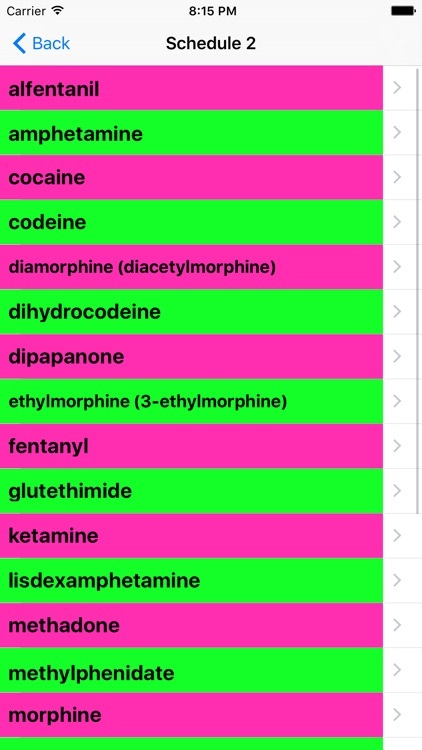 Information is given on each drug in a flashcard format to aid revision and learning. 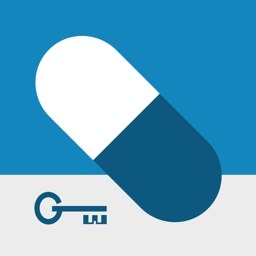 Safe storage of controlled drugs and legal requirements for Scheduled 1 to 5 prescriptions is included. 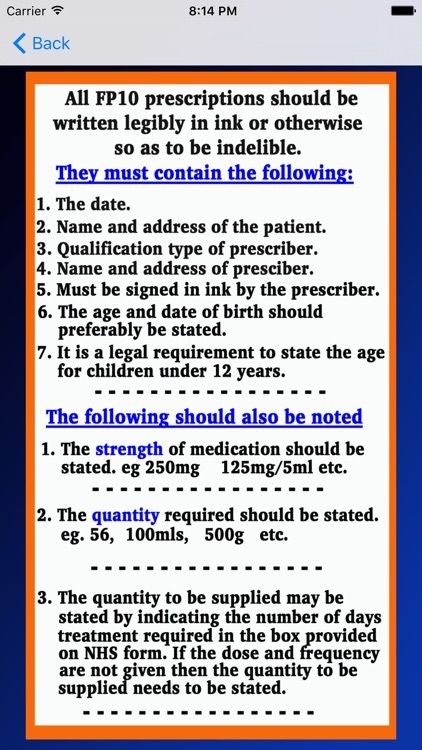 Also included in this app is the legal requirements for writing veterinary prescriptions, dentist prescriptions, FP10 prescriptions, private prescriptions, safe custody requirements, Controlled Drug regulations. 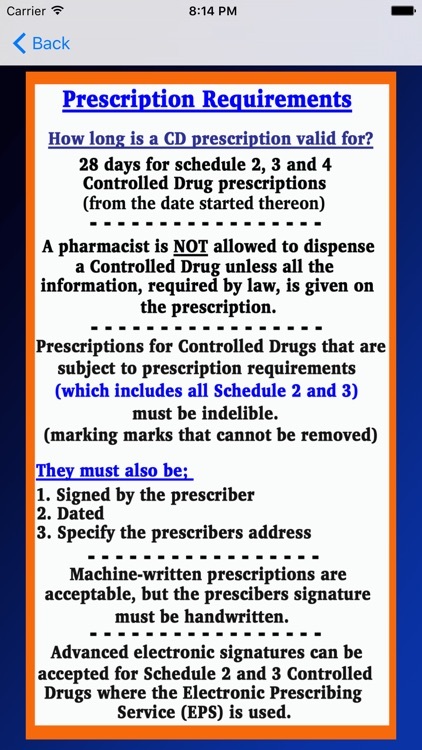 This pharmacy app shows you what information needs to be to included when writing prescriptions and also shows you what to look for when dispensing prescriptions to make the whole process legal. 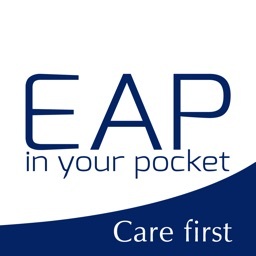 Information is also provide to guide you on when you are legally allowed to dispense an emergency supply at the request of a patient and when to dispense an emergency supply at the request of a prescriber. 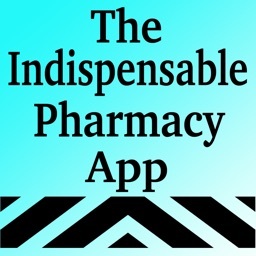 This Pharmacy app is FIVE times quicker at finding information than the BNF and provides a wealth of information that is not available in the BNF. 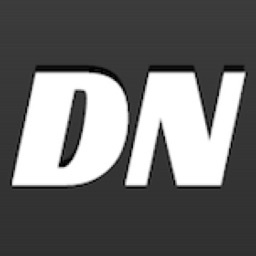 All information in this app was, to the best of my knowledge, correct at time of print. 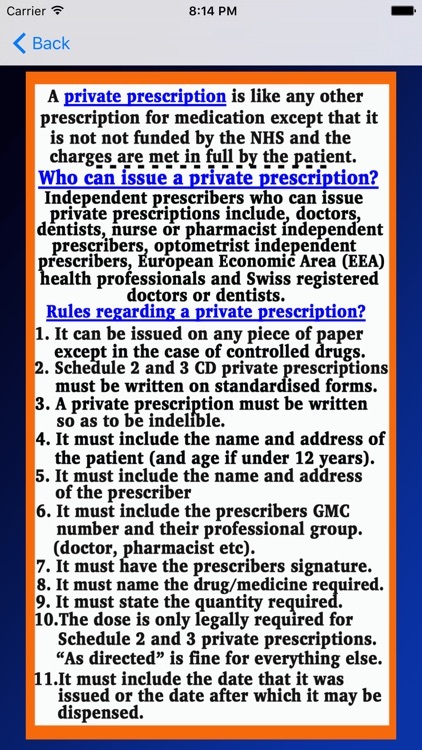 However, before any medication etc should be allowed to leave a pharmacy environment or any other medical facility and given to a patient, or prescribed, a final clinical check with an up to date BNF and qualified pharmacist or doctor, must be performed every time.